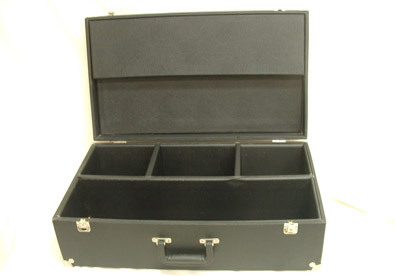 Sample Cases – Custom Case Company, Inc.
To transport and display these samples, businesses use convenient sample cases. Sample cases come in a variety of sizes, but most are made with a hard exterior to protect the contents inside. Latches are fitted on to the case so that it can be tightly sealed. An extendable handle and wheels may be added to make it easier to move the case by rolling it along the ground. 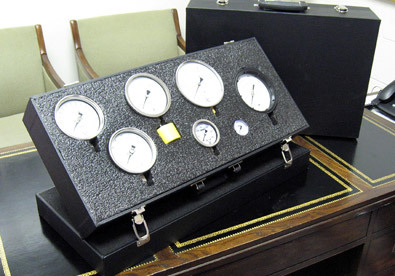 The interior of a sample case usually has some kind of lining or cushion to pad objects placed inside and protect them from being scratched or damaged while the case is being transported. Many case manufacturers can design custom foam inserts to fit the exact dimensions of the product being placed inside the case. This custom foam absorbs a significant amount of the shock from impacts and keeps the product snugly in place. This type of lining is used for expensive devices like cameras to prevent damage during transportation. Large sample cases are outfitted with different types of compartments and drawers to keep items separate, while still allowing for easy access. Some sample cases are even designed to fold open into a functioning display, making them especially useful for trade shows and product showcases. Once the display is no longer needed, the case can be folded back up and easily transported. For improved security, sample cases can also be equipped with combination or key locks to prevent theft. Depending on the manufacturer, these cases can be as simple or complex as needed and can be entirely customized. Businesses can even have their logos printed on sample cases to help identify the case and to help promote the company’s brand. Sample cases can be found in practically any industry which requires the transportation of products for showcasing purposes. These industries include the agricultural, construction, fashion, military, sporting goods, and engineering industries. Rather than simply making a presentation, company representatives can use sample cases to actually bring their products to demonstrate and display their products to potential investors and customers. Sample Cases Before a product is officially released to the market, or when it is still new in stores, companies like to display samples that will spread awareness about the product and showcase its features. This is done in retail stores, at conferences, at trade shows, in business presentations or at other industry related events.